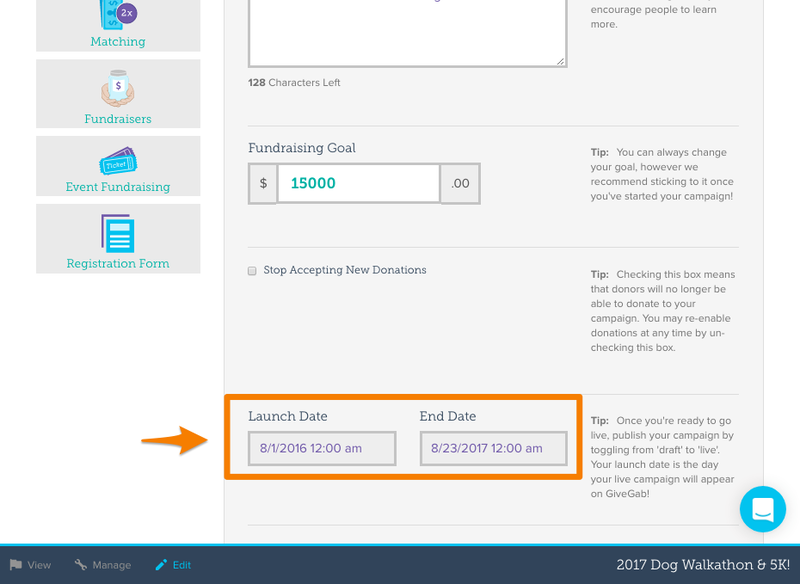 Note: this is not the same thing as changing the date of your event. 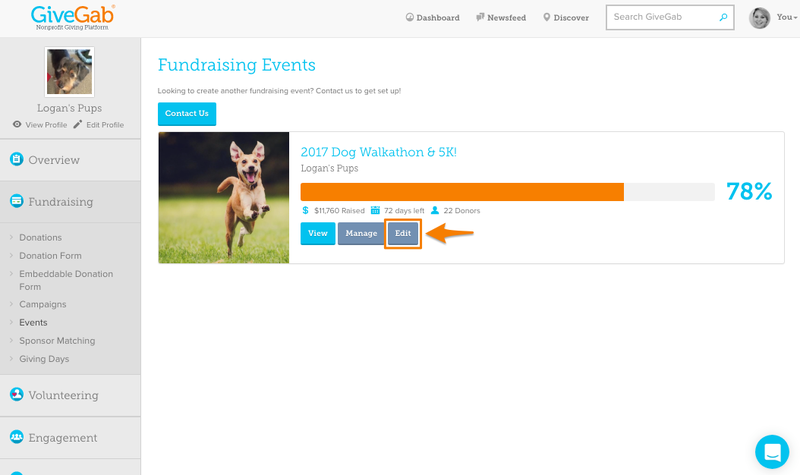 This changes how long your event fundraising page is open to collect donations or registrants. 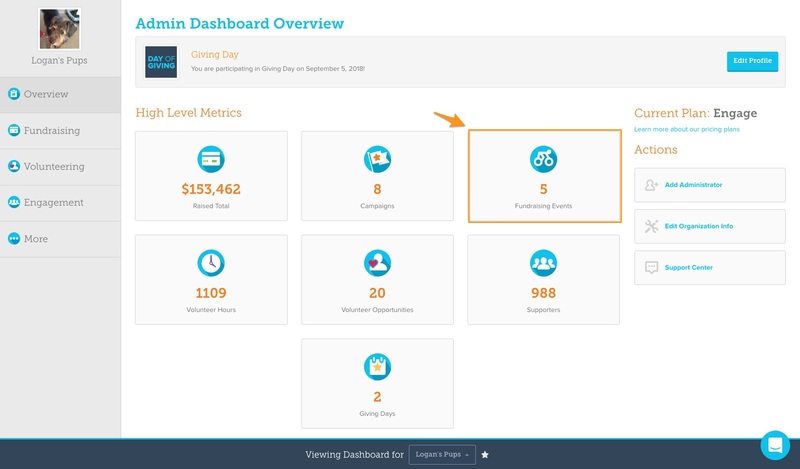 Once in the "Event" section of your Admin Dashboard, select the "Edit" button beneath the Event you'd like to edit, and you'll be directed to your Event Editor.